Creative, amazing, and artistic photos! Matt is the best! He made everything so easy for us and made us feel very comfortable! We absolutely love our photos! Book them now! Beyond thrilled with Grazier photography. I can not recommend Enna enough and it truly is my pleasure to write a review on her photography. I know the Graziers personally, and I knew immediately I wanted them to photograph my special day. Enna is extremely easy and pleasant to work with and I was lucky enough that her son came along to add another perspective for the pictures! As a pretty particular bride, she was able to understand my vision and plan and the photos came out beautiful, both engagement and wedding. 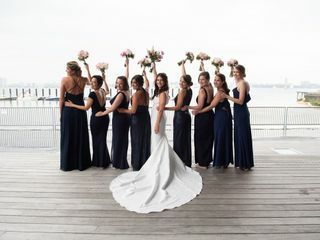 She was able to work with even the difficult to direct people during pictures and kept us on schedule while making the process fun and smooth, even my wedding party commented on how great she was. As we looked at our pictures, my husband said "I didn't even realize she was there taking those photos!" The Graziers are not only wonderful people, but amazing photographers and I can't wait to show off my pictures! Working with Matt and his team couldn't of been more amazing! We did not have the opportunity to meet Matt prior to our wedding but he was always in communication with us that we felt so at ease with him and his team come to the wedding day. Matt instantly made me feel at ease which helped me finally breathe and enjoy the moments. The team did an amazing job capturing not only the formal photos but the candids from the wedding as well. We highly recommend Matt and his team! We loved working with Matt of Grazier photography for our wedding. He was so easy to work with from the very beginning and I felt an instant connection during our first phone call. We live out of state and he came down to D.C. to do our engagement pictures (we paid for his flight and he covered the rest). He was very responsive the months leading up to our wedding and we felt comfortable and confident the entire time. On the day of our wedding, he was a dream to work with. Him and his associate photographer, Brian, came right on time and took all the pictures that we had time to take- they were both very good about sticking to the planned timeline. A few weeks after the wedding, Matt sent a slideshow with some of his favorite photos and then a week later, sent us the final photos- only about a month after our wedding! He captured our genuine happiness and love throughout the night. Thank you, Matt! We loved working Grazier Photography for our wedding photos! From our first e-mails and phone calls Enna was easy to talk and plan with. We had so much fun getting to know her during our engagement session,her gentle prompts and encouragement helped two introverts feel more at ease in front of the camera. She and her assistant were amazing on the wedding day; they captured incredible moments for us and the quality and selection is stunning. I highly recommend the Grazier Photography team. They have given us such amazing photos to remember and share one of our happiest days! I cannot say enough good things about this photography team. They captured every special moment and every fun candid they could. My wedding photos are stunning. They were so nice and professional, they walked us through our photos day of. We didn't give them a photo list, yet they still captured everything. They made us comfortable from the moment we started shooting. HIRE THEM! You won't be sorry. Matt and Enna were both wonderful! They captured our day perfectly, we love our pictures!!! We wouldn’t have changed a thing! They made us feel so relaxed in front of the camera and for two people who have never had their picture professionally taken that was very helpful! All of our guests loved the both of them, I kept getting compliments on how great they were! We definitely recommend them! Wow! 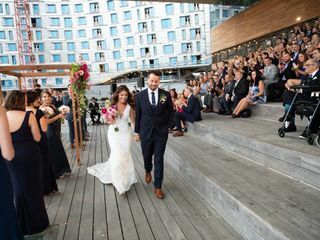 Matt captured our day perfectly! Because there are no words to describe our immense love and happiness felt on our wedding day, we have these incredible pictures. Matt was so incredibly relaxed and made my husband and I feel incredibly comfortable. 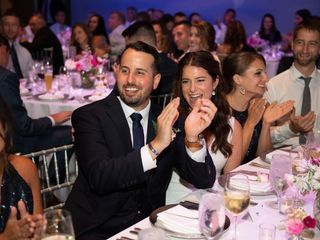 We have received so many compliments from our guests about our photographer and his ability to capture so many moments and candids, yet they didn't even notice him there! When I look at these pictures it brings back each emotion in that exact moment and, to us, shows Matt's incredible artistic ability. Matt made the most wonderful blog post soon after our wedding telling the story of our day and we had our 1000+ photos within weeks of our wedding day. Without a doubt we would highly recommend Matt as your wedding photographer! Matt was super helpful and kind when it came to setting up our wedding outline for pictures. He was very respectful of not getting in the way and very professional. He had a lot of patience with my family as we are a super big group and hard to get everyone to stop talking and listen when it came to taking big group pictures. So far the pictures we have seen are very sharp and clear. We love them! Thank you Matt for everything! Matt + Enna are really great to work with. So friendly and willing to get creative or try something fun. Highly recommend letting them loose and going with the flow. We used Enna & Matt to shoot both our engagement session and wedding. Enna really stood out to me when it came to the photographers I was speaking with in that she clearly defined what the most important goal was when it came to shooting a wedding and that's to "Capture the love". I totally agree! The final product was amazing... Even when I was second guessing myself on photo ops we may have missed, Enna was reassuring in the fact that if I was just crazed getting all these "shots" then I would've missed out on "being in the moment" which is totally true. I am glad I just let go and trusted the professionals to take care of the rest. The day was amazing and so aren't the Graziers! We spent a lot of time selecting our wedding photographer and we are SO happy that we chose Matt and Enna. We got our pictures back a few weeks ago and they are incredible! They did a great job of capturing all of the most important moments--with an awesome creative style. They were also really enjoyable to be around on the actual wedding day--very laid back and fun...and not intrusive at all. Overall, I would HIGHLY recommend them to anyone who is looking for a very high quality wedding photographer. You'll definitely be happy! We loved working with Matt Grazier, and we love the pictures that he and his assistant took! He was very organized and prompt and enjoyable to have at our wedding. 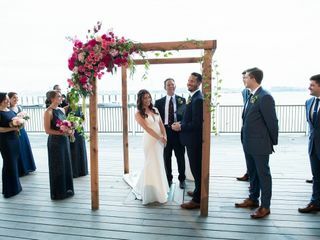 We got lots of compliments from guests about how the photographers didn't miss anything, but also were totally unobtrusive and pleasant to be around. We would definitely recommend them!!! Matt and Enna Grazier of Grazier Photography photographed our rehearsal dinner and wedding. They were absolutely wonderful! They are both incredibly friendly, fun and creative. They work incredibly well as a couple and it is amazing that even when they are photographing the same scene, they see it differently and are able to capture multiple perspectives. They absolutely understood who we were and our style. Our pictures are gorgeous and reflect us. They made us feel comfortable and relaxed the entire time. They also have a great photobooth, which our guests loved and it made it so easy to have it booked through a vendor we knew and trusted. We would recommend Grazier without hesitation. Hiring a wedding photographer was an easy choice for us...Grazier Photography was the only wedding photographer we met with. Matt and Enna had photographed my maid of honor's wedding as well as my brother's wedding and done a fabulous job at both and they did not disappoint! Working with Matt was like working with an old friend. He made the photos fun, not stiff or overly posed. I really wanted someone I could trust to get beautiful, creative shots and candids so we could truly relive our wedding through the images and that is exactly what we got. It was so fun to look at some of the shots of things we missed (like some friends grabbing a mop and doing the limbo)! It was also really fun to see some of the shots of just me and my husband sneaking a kiss or laughing naturally - totally forgetting that camera was even there, proving how unobtrusive they are. My mother-in-law even commented to me after the wedding that she’d see something happening and say “where are those photographers, they should be getting this” and she’d turn around and one of them would be right there getting the shot! Unfortunately for us (and her) Enna was ill the week leading up to our wedding and on our wedding day, but Coco, a friend of theirs who filled in for her, was also fantastic!! We honestly couldn’t be happier with the beautiful images Grazier Photography produced! Matt and Enna are a delight to work with. First, they are warm and caring personalities. I was between two different photographers at the end of my search, and the reason I ended up choosing the Graziers is because on my phone call with Matt as I was learning about him, I just remember belly-laughing constantly. They are just such fun and exuberant people. All of my interactions during phone calls, engagement photos and the wedding were so comfortable and friendly. All that said, on wedding day, they were not intrusive or pushy or overbearing as I have seen with some photographers. They struck the absolute perfect balance. During formal photography, like the first look and portrait shots, they were great at efficiently and helpfully giving direction to get all the perfect shots. However, once the party started, I never really noticed them arriving to take pictures, and yet they always seemed to be there to take the perfect and most exciting shots. They just had a sense of wear to be, and they are a perfect team, always working off the other one, and covering different spots so that every moment is captured. Beyond that, their photos are just BEAUTIFUL. They come up with creative ideas, so you do not just have the same old wedding portraits up against a tree. However, they are also responsive to what you want when you have ideas about pictures, or if you see a group that you want a photo with. Just love them! If you are looking for a photographer that is professional but you can treat like a friend, Matt Grazier is your guy. From our first conversation, Matt was professional but also friendly and helpful, willing to give us advice on things to consider for our wedding. He was prompt to respond to emails and answer any questions that we had-- and we had a few, since we were getting married at a destination we had never been to! (Anguilla- which is beautiful btw, GO!) Matt had some great recommendations and we're glad everything worked out the way it did. Beyond the service though, I can't say enough about how fantastic the photographs look! Matt has a great eye and an ability to loosen you up in front of the camera so that you look your best, but look like you. a 5 star rating for a 5 star guy. Thanks Matt, we look forward to recommending you to friends, families and other husband & wives to-be. Matt and Enna are INCREDIBLE!!!!! From the first meeting with Matt, we knew that working with he and Enna would be perfect. Their pictures are works of art. 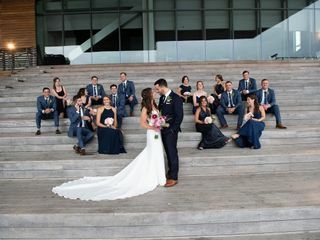 When we saw the pictures they had taken at our wedding, we were completely blown away...as were all of our friends and family! Matt and Enna are so creative and don't spend a lot of time on posed-type pictures. What you get with them are pictures that capture all the little moments of joy and happiness throughout the day. You hardly notice they are there, saving all of these memories for you. And on top of that, these are seriously pictures that should be viewed at an art gallery. What they see through their lenses are not of that of a typical photographer. These two truly have a gift! And on top of all that, they are both lovely people. Easy to work with and fun to be around. I could not be happier with what they have done for my husband and me and we are both so happy to have met them. I’m not planning on getting married ever again, but if I was, I would DEFINITELY sign up Matt Grazier as my wedding photographer! Matt was awesome- so easy to work with, flexible, professional, and I felt like we were best buds after the first time we met. He was willing to work with our ideas and then he came up with dozens of his own great ideas. Matt has a great eye and was able to capture the most special moments from our wedding day, including some amazing moments that I didn’t even know about until I saw his pictures. I must have said “wow” at least ten times when I saw Matt’s pictures of our big day and I’m SO grateful that we had him as our photographer. I totally recommend Matt without ANY hesitation or doubt- you’ll be lucky if you get him for your wedding! I couldn’t be happier to recommend Matt Grazier as a wedding photographer. When I started looking for a photographer, I spent hours pouring through albums of every photographer I could find online. When I saw Matt and Ena’s blog and photographs, I loved the emotion and the natural candid moments that they captured. When I first spoke to Matt on the phone, he asked all about me and my fiancé, from how we met to the style of our wedding. It felt like he wanted to get to know us, not just sell us the biggest wedding package he could. When he suggested an engagement photo shoot, I resisted at first as this was not something we had in mind, but he felt strongly that this was important to get to know each other prior to the big day. This was one of the best pieces of advice he could have provided. Not only do we love our engagement shoot photos, it was so comfortable with Matt on our wedding day because of the relationship we had already built. The day of our wedding, Matt poured all of his energy into photographing every moment of the celebration, drawing a careful balance between taking us away from the festivities for a few special shots, and otherwise finding ways to capture the moments as they happened naturally. I never once noticed Matt during the celebration, so he was able to do this all without drawing attention or disrupting the flow of the evening. When I saw the pictures online after the wedding, I realized that he photographed elements of the day that I didn’t even notice and I’m so thankful to have his pictures as mementos. 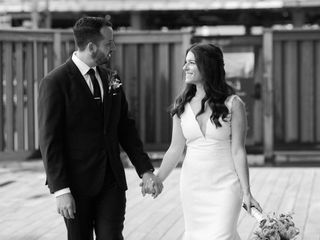 We love our photographs, and can’t thank Matt enough for capturing our perfect day! Matt and Enna Gazier were so great to work with. I think there is something to be said about a husband and wife couple photographing together. They had such a great energy about them every time we were with them. They worked so seamlessly together throughout the day that we hardly knew they were with us capturing our every move. Our engagement session was great with Matt. It was a nice opportunity to meet him and get to know one another before the wedding. We really enjoyed the outing we had with him and the pictures. I can’t say enough about our wedding photographs. We were married the last Saturday in June and the turn around time they had on our photographs was amazing. We got them sooner than expected given it was right in the thick of wedding season for them. The slideshow literally brought tears to my eyes and there were so many pictures that capture us as a couple and our families and friends that I know I will cherish forever. Literally just thinking about the pictures it makes me teary eyed so if that doesn’t tell you they did an amazing job, I don’t know what will. Looking through our pictures is like reliving the day for me. They captured so much in every picture, all the love and happiness of the day. There was so much emotion in the pictures it was truly breath taking. They were amazing to work with. They made us, our families, bridal party and guests feel comfortable and at ease. We feel so fortunate to have had them photograph our wedding. What they were able to do for us in remembering the best day of our lives is completely priceless. I can’t express my gratitude for them enough. Matt and Enna are a husband and wife photography team based out of Boston, MA. They are hands-down incredible. Their photojournalistic style captures every moment of the day in an artistic, beautiful way. There is nothing quite like Grazier Photography and we would highly recommend them! Be sure to check out their blog for examples of their work! Matt did a great job at our wedding, capturing some beautiful moments through out the whole day. He had a lot of artistic shots which i love as well as some traditional. He was very into the moment and committed to his work and getting a good shot. We are totally biased - we are still friends with these guys and two years later, are still in awe of our photos, which were anything but run-of-the-mill. 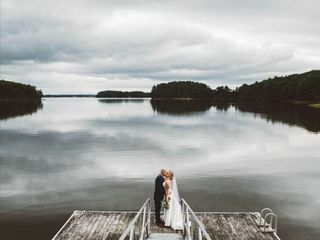 Enna and Matt made everything comfortable and produced some of the best pictures we have ever seen of ourselves and the location we were married in!